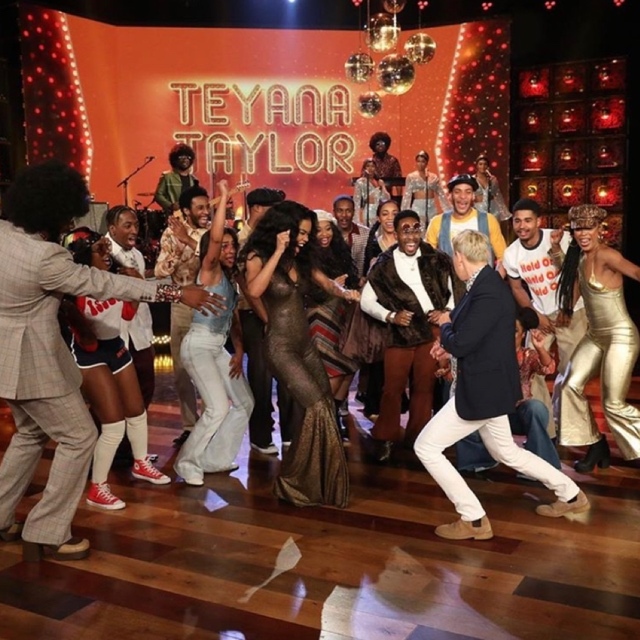 TEYANA TAYLOR ABSOLUTELY SLAYS THE ELLEN SHOW WITH PEACE, LOVE & SOUL! RECEIVES GOLD PLAQUE FOR “GONNA LOVE ME”! This entry was posted in Fashion + Music and tagged 360, 360 Magazine, Celebrity, dancer, def jam, Def Jam Recordings, gold plaque, Gonna Love Me, hold on, Issues/Hold On, K.T.S.E., Kanye West, love, music, new music, new video, peace, performance, pop, r&b, singer, slay, soul, Tara McDonough, teyana Taylor, the Ellen Show, Undisputed, Vaughn Lowery, ye on April 18, 2019 by wp360mag. New Album F.A.C.T.S Produced by Tay Keith Coming Soon! 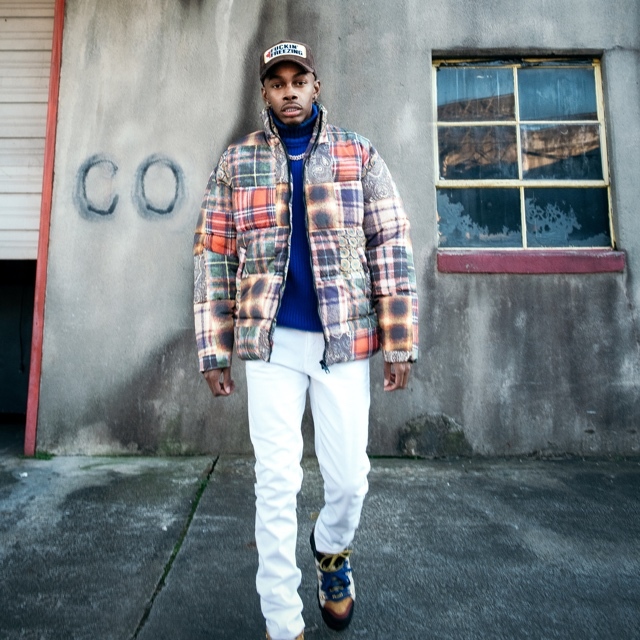 South Memphis rapper Co Cash yesterday released the lead track to his debut Interscope project F.A.C.T.S called “tOlD mE” featuring Lil Yachty. The rising rapper swiftly followed the release with a music video directed by Keemotion (Gucci Mane, Migos, Lil Baby) — watch it here. Playing off each other’s personality, the two rappers zone into the camera and riff off their fervent verses. 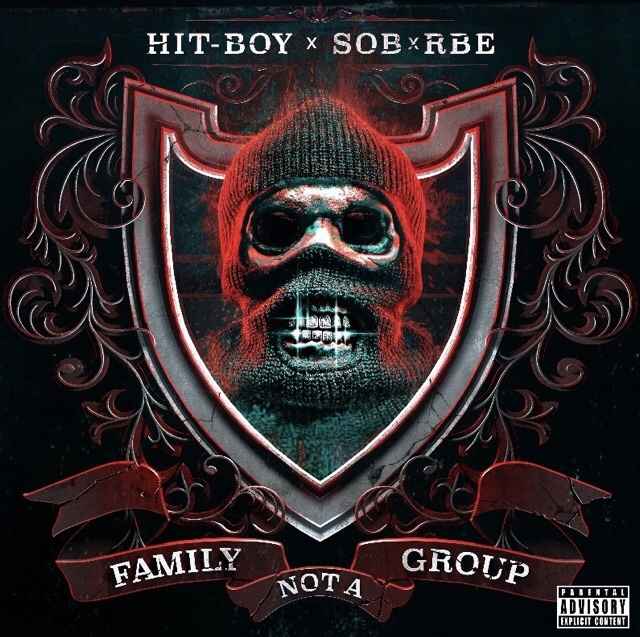 The single was produced by hitmaker Tay Keith who also executive produced Co Cash’s upcoming project. Tay Keith, also a Memphis native, has worked with Co since the early 2010s and together have spotlighted rap from the region. Co Cash, who FADER hails as one of five artists to watch from Memphis, leans towards beats that bounce and glide, the perfect backdrop to his completely freestyled yet razor-sharp lyrics. F.A.C.T.S is an exploration of Co’s quick wit and a way with flow that’s bound to put the young rapper on everyone’s artist to watch list. This entry was posted in Fashion + Music and tagged 360, 360 Magazine, co cash, F.A.C.T.S, Gucci Mane, interscope, interscope records, Keemotion, Lil Baby, Lil Yachty, migos, new music, new music video, rap, rapper, Rico Dinero, South memphis, Tara McDonough, tay keith, Three 6 Mafia, tOlD mE, Vaughn Lowery on April 17, 2019 by wp360mag. 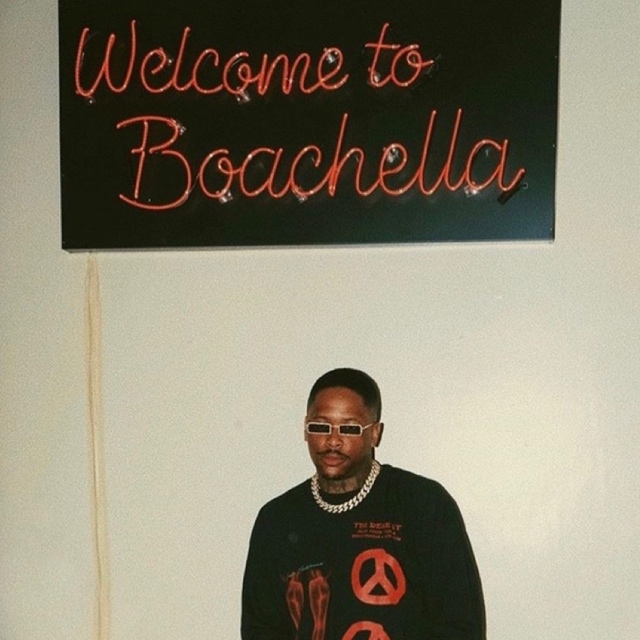 WATCH YG PAY TRIBUTE TO NIPSEY HUSSLE AND BRING OUT BIG SEAN, 2 CHAINZ & TYGA DURING HIS ELECTRIFYING BOACHELLA PERFORMANCE! This entry was posted in Fashion + Music and tagged 2 chainz, 360, 360 Magazine, album release, big Sean, boachella, Coachella, def jam, def jam records, Los Angeles Times, nipsey hussle, Tara McDonough, tyga, Undisputed, Vaughn Lowery, YG on April 15, 2019 by wp360mag. Feminine and feisty, singer ILIRA is the heroic heroine of her own life story. In her new anthem, “Do !t Yourself,” the singer ditches storybook clichés and encourages fellow females to declare their independence. A concoction of bouncy beats and upbeat fizzy pop, “Do !t Yourself” is a proclamation that women are capable of being much more than damsels in distress. The pop princess claims “girls ain’t gotta be the sweet and helpless type,” and create their own happy endings. Raised in a small Swiss town by Kosovo-Albanian parents, ILIRA developed her signature rebellious attitude at a very young age while struggling to find her place in an environment with clashing cultures. It was during this time the singer learned how to fight her own battles, often finding resilience in music. This entry was posted in Fashion + Music and tagged 360, 360 Magazine, alle farben, clash music, damsel, Do !t Yourself, Fading, Get off My D!ck, hero, heroine, ILIRA, independence, kosovo-albanian, pop, pop princess, rebellious, singer, songwriter, Swiss, Switzerland, Tara McDonough, Vaughn Lowery on April 15, 2019 by wp360mag. their critically acclaimed 2017 debut album From the Outside. Hey Violet release a new single “Better By Myself” today on Hi or Hey/Capitol Records and available for streaming and purchase from all digital partners. In addition, an official video for the song, directed by Marcella Cytrynowicz, debuts today. Watch it HERE. “Better By Myself” which was co-written by Hey Violet, Gabe Simon, and producer Daniel Nigro, is the first of four new tracks the band is set to release throughout the Spring and Summer. 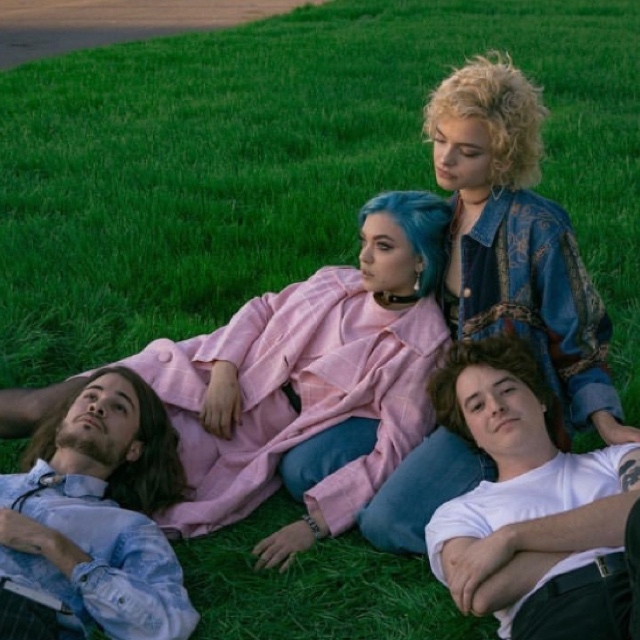 Over the past few years, Hey Violet, which is Rena Lovelis, her sister Nia Lovelis (drums), Casey Moreta (lead guitar) and Iain Shipp (bass) have steadily built an engaged fanbase with their powerful, immaculately crafted alt-pop songs. “Guys My Age” was named one of the Best Songs of 2016 by The New York Times, who called it “teen-pop’s revenge: an urgent dark song about sexual rebellion” and one of the 20 Best Songs of 2016 by V Magazine. In 2017, Hey Violet was also nominated for an iHeart Radio award for Best Underground Alternative Band, dubbed an “Artist Primed For A Breakout” by Billboard, and named “Artist To Watch” by The Guardian, PopCrush, and more. The band has racked over half a billion streams worldwide, sold out their North American headline tour and performed on both The Late Late Show With James Corden and Late Night With Seth Meyers. Hey Violet will perform several upcoming shows to celebrate the release of their new music. All dates are below. Tickets go on sale today here. This entry was posted in Fashion + Music and tagged 360, 360 Magazine, Better By Myself, Break My Heart, capitol records, Casey Moreta, Daniel Nigro, From The Outside, Gabe Simon, Guys My Age, Hey violet, Hi or Hey, hoodie, Iain Shipp, Late Night With Seth Meyers, Marcella Cytrynowicz, Nia Lovelis, Nylon, Rena Lovelis, Stereogum, Tara McDonough, The Late Late Show With James Corden, The New York Times, v magazine, Vaughn Lowery on April 13, 2019 by wp360mag. 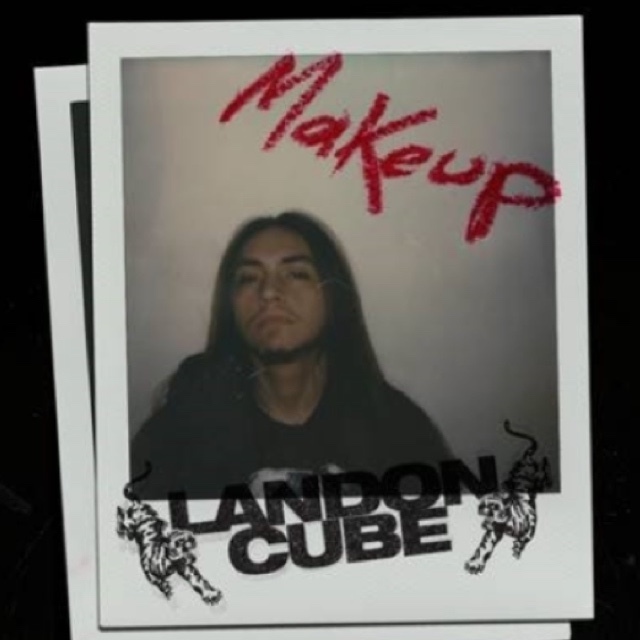 Maryland bred singer-songwriter Landon Cube releases his new single “Makeup” today. “Makeup,” which is packed with emotion and reflection, is the singer’s first single with Republic Records. The track follows his previously released tracks “Round n Round” feat. Sprite Lee (15+ million streams), “Drive My Car” (14+ million streams) and “19” (9+ million streams). He also appeared on Lil Skies’ “Nowadays” and “RedRoses,” which both garnered over 250 million streams individually. There’s a poignant yet feel-good vibe that makes 21-year-old recording artist Landon Cube’s sound infectious. The Southern Maryland native has a diverse history within music, punctuated by his versatile catalog. With Landon’s new single “Makeup,” the young star on the rise is geared to level up to the next chapter in his career. At 16, he made the firm decision that music was his chosen trajectory and once he graduated high school, he dropped his introductory cut “Euphoria.” His participation with local viral video crew Cufboys added fuel to the fire, as Landon began galvanizing a fan base through his laid-back authenticity and knack for melding sounds. Through Cufboys he met burgeoning star Lil Skies, as the two joined forces on cuts like “Red Roses” and “Nowadays,” the former impressively hitting one million streams in less than a month. It wasn’t long before Landon was Los Angeles bound and continued his upward mobility as an artist, ultimately joining the Republic Records roster. Landon Cube, who already has over 4 million monthly listeners on Spotify, has already secured a solid following based upon his honest and heartfelt music, and the next phase in his career will bring more of that to the forefront. This entry was posted in Fashion + Music and tagged 360, 360 Magazine, April Bussey, entertainment, Makeup, Maryland bred, music, release, singer songwriter, single, Vaughn Lowery on April 12, 2019 by wp360mag. Puerto Rican singer and songwriter Kim Viera releases her brand new single “Here For Ya” today in both English and Spanglish. The track is powered by a throwback beat and sultry production, building toward a seismic and soaring refrain carried by Kim’s powerhouse voice. The two versions in English and Spanglish speak to her worldwide appeal. 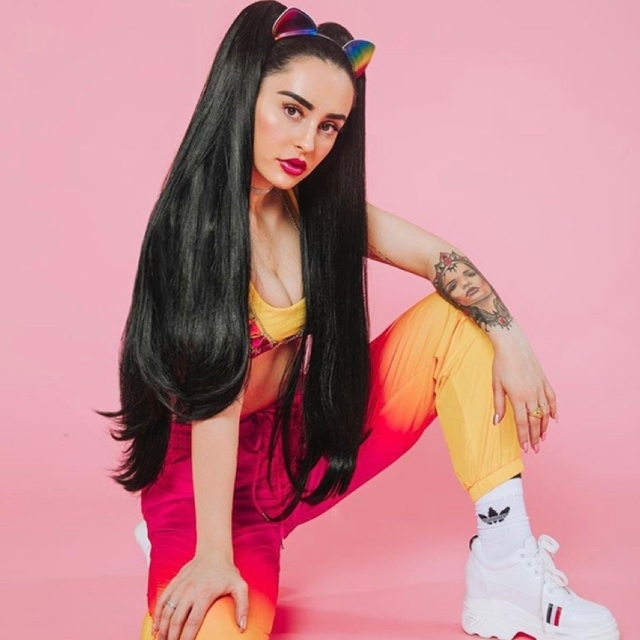 This entry was posted in Fashion + Music and tagged 360, 360 Magazine, April Bussey, artist, English, entertainment, here for ya, Kim Vera, music, new, puerto Rican, release, singer, single, songwriter, spanglish, Vaughn Lowery on April 12, 2019 by wp360mag. Cyrus recorded The SnakeDoctor Circus in Muscle Shoals, Alabama with some of the most respected musicians, including Cyrus’ longtime collaborator and songwriting mentor, Don Von Tress, Rock & Roll Hall of Famer Dewey Lyndon “Spooner” Oldham (piano), Nashville Musician’s Hall of Fame Member Will McFarlane, as well as David Hood (bass guitar), Kelvin Holly (electric/acoustic/bass guitar), Bekka Bramlett (vocals, tambourine), Kimi Samson (violin, viola, piano), Caleb Elliott (cello), Will McFarlane (electric guitar), James LeBlanc (electric guitar), Mike ‘Dillon’ Curington (drums), John Brannen (acoustic guitar, harmonica), Shonna Tucker (bass guitar), Angela Hacker (vocals), Larry Byrom (piano), Mick Utley (piano), Johnny Monteagle (drums, baritone sax, synth) and Jimmy Nutt (acoustic/electric guitars, tambourine, percussion). Nutt, a Grammy®-winning recording engineer, also mixed The SnakeDoctor Circus. 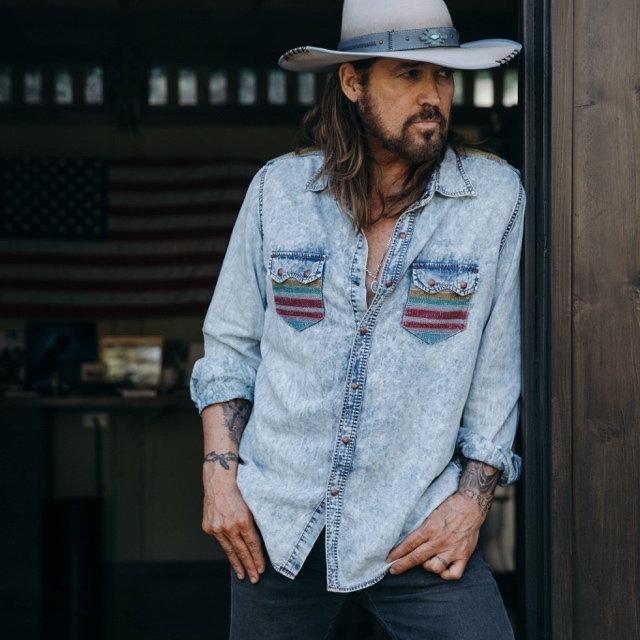 Billy Ray Cyrus became a household name over the course of his unprecedented career which spans across music, television and theater. Throughout his nearly three decade career, Cyrus has achieved worldwide success as a singer, songwriter, actor and producer. The Flatwoods, KY native exploded onto the music scene when his first album, Some Gave All, debuted on the all-genre Billboard album chart at No. 1 and stayed there for a record-breaking 17 weeks in 1992. The lead single, “Achy Breaky Heart,” became a phenomenon as the single went multi-platinum. After “Achy Breaky Heart,” Cyrus followed up with back to back hits “It Could’ve Been Me,” “She’s Not Crying Anymore,” “Wher’m I Gonna Live When I Get Home?” and the anthemic “Some Gave All.” Cyrus knocked himself out of the top Billboard position with the his second No. 1 album, It Won’t Be The Last, featuring smash hits “In the Heart of a Woman,” “Words By Heart” and “Somebody New.” Cyrus followed up with dozens more that defined country music. “To me, my most defining moment in country was being joined by George Jones and Loretta Lynn on my self-penned ‘Country Music Has the Blues,’” said Cyrus. He also enjoyed a successful career as an actor in “Doc” and “Still The King,” as well as the Disney series “Hannah Montana” with his daughter Miley Cyrus. This entry was posted in Fashion + Music and tagged 360, 360 Magazine, Achy Breaky Heart, Alabama, Angela Hacker, Bekka Bramlett, billy Ray Cyrus, BMG, Caleb Elliott, Country Music Has the Blues, David Hood, Dewey Lyndon “Spooner” Oldham, Doc, Don Von Tress, Flatwoods, Hannah Montana, In the Heart of a Woman, It Could’ve Been Me, James LeBlanc, Jimmy Nutt, John Brannen, Johnny Monteagle, Kelvin Holly, Kimi Samson, KY, Larry Byrom, lil nas x, Mick Utley, Mike 'Dillon' Curington, miley cyrus, Muscle Shoals, old town road, She’s Not Crying Anymore, Shonna Tucker, SnakeDoctor Circus, Some Gave All, Somebody New, Still The King, Tara McDonough, Vaughn Lowery, Wher'm I Gonna Live When I Get Home?, Will McFarlane, Words By Heart on April 11, 2019 by wp360mag.